Ricardo Rinaldi obtained his master’s degree at the Conservatorium of Music G. Paisiello of Taranto, going on to perfect his technique at Santa Cecilia Academy of Rome. in 2013–14 her served as principal bassoon of the Orchestra Giovanile italiana and in 2015 joined the Magna Grecia Orchestra. Since 2014 he has been principal bassoon for the Teatro Olimpico di Vicenza and young Talents Ey (Ernest & young) Orchestras. He has toured Japan, China, Lebanon, Germany, France, and Austria and has performed with many italian orchestras. 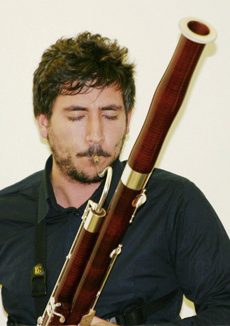 He has an honors degree in philosophy and is professor of bassoon at the Liceo Musicale Dante in Florence.